Imagine this: Your phone buzzes while eating dinner. Naturally, you take it out of your pocket and see an incoming call from a local number. Wanting to avoid the voicemail phone tag game, you answer. The caller explains that they’re from the IRS and inform you that you owe back taxes. On top of that, failure to make payments on taxes owed will result in court action. And then the big one… arrest. In a panic, you go along. You know that the IRS does not fool around. There are plenty of stories of people who were financially (and publically) ruined because of back taxes. Except that isn’t the IRS calling! It’s someone mimicking an IRS agent to steal your information. Calls like this are the phone version of the Nigerian Prince scam emails. They act like they’re from the IRS, your bank, or the mortgage company, going so far as to make their phone number mimic these real organizations' numbers. While most email systems are smart enough to catch scam emails, what do you do if you hear someone’s voice telling you that you owe thousands of dollars to the IRS? Is there a spam filter for calls? Yes, there is, it’s called RoboKiller and it’s trying to live up to its name… kill off the robocaller industry. Scenarios like the one above are just one of the ways phone scammers prey on reasonable people’s anxieties. Telemarketers often try similar tactics, but instead of stealing your information, they want you to buy something you don’t need. RoboKiller’s aim is to make all of them a thing of the past. Or at least waste a lot of their time. Here’s how it works. RoboKiller was made to give the power back to you. It has a massive list of known spam numbers, currently at over 108,000. When one of these known numbers calls your phone (even if the calls looks local - a technique called neighbor spoofing), RoboKiller automatically prevents the call from ringing your phone and instead “answers” the scammer’s call with one of their Answer Bots. Scammers think they’re talking to a real person, but instead, Answer Bots play pre-recorded “calls”. You can even create your own version of the one-sided recording scammers will hear. If you’re curious what an Answer Bot sounds like, head over to RoboKiller’s RoboRadio where you can listen to dozens of these recorded “conversations” scammers think they’re having with real people. While these conversations can be pretty funny (listen to the one called “Vocal Training Exercise”) the goal is to stop scammers and telemarketers from calling you and in the process stop scam calls altogether as more scammers are found and blocked. And honestly, it feels pretty good to get a little revenge! After all, they’ve wasted your time. Why not waste theirs? RoboKiller comes with a few extra features that teach scammers not to mess with you, such as revealing the identity of unknown caller IDs that aren’t recognized spam numbers and the ability to create custom lists of numbers you want to allow to call you and others you don’t. 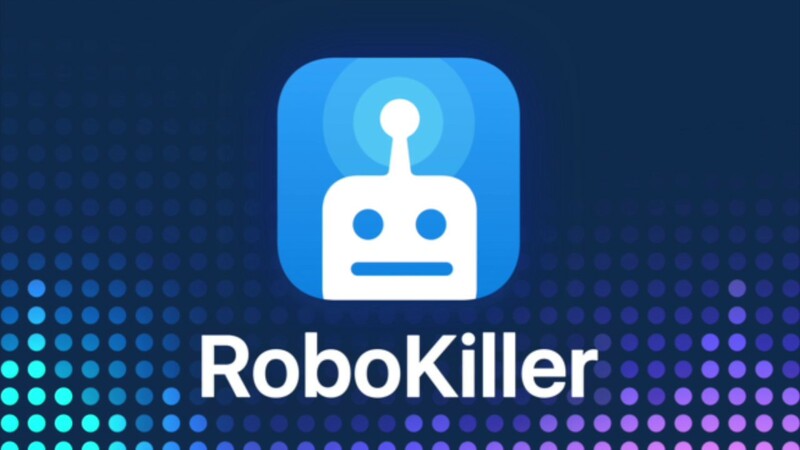 Click here to download and try RoboKiller. Need to eliminate the app from my phone how? It keeps returning and messes with things that are needed! Need a way to shut it off ! At least till it can be removed. What do I do to keep people that I don’t want blocked from being blocked. You can add them to your contacts or the app&apos;s "Allow List".